Changes in the executive branch for the state and federal government reverberated throughout 2017 and will likely shape much of what happens in environmental policy in 2018 as well. A close race for governor between incumbent Republican Pat McCrory and Democrat Roy Cooper wasn’t decided until mid-December 2016 and a series of legislative actions that followed during the final days of McCrory’s administration set up the first of many confrontations between the new governor and a legislature in which the GOP has held a supermajority since 2013. Among the changes, many of which resulted in legal challenges, was a new requirement for Cooper’s cabinet appointments to be confirmed by the Senate. Ultimately, none of Cooper’s picks were rejected, but the move put the new administration on notice that legislative scrutiny would be stepped up. Cooper’s choice of Michael Regan, a former EPA official, was one of the last confirmed by the Senate, with a vote that came in April. 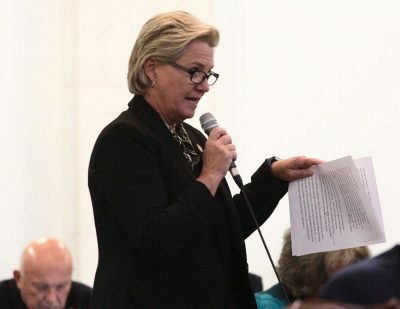 Wilmington Democratic representative Susi Hamilton, chosen to head up the Department of Cultural and Natural Resources, got her review a few weeks earlier, but received sharp criticism and a few dissenting votes over changes at Tryon Palace. Two longtime observers of the dynamics at the top of state environmental policy making said every transition to a new administration leads to changes, but that this year the differences were especially stark. Molly Diggins, executive director of the North Carolina Sierra Club, said the most noticeable change in 2017 was definitely the new governor. Cooper, she said, has been consistently showing leadership on environmental issues, like offshore drilling since taking office. “Second to that is the end of the reign of terror at the Department of Environmental Quality and the return of staff being able to do their jobs and being able to have transparency and accessibility in their work again,” Diggins said. The department had become secretive under Regan’s predecessor, Donald van der Vaart, she said, with professional staff reports subject to rewrite to satisfy policy objectives. Regan has done a better job of transparency and outreach, particularly in rural parts of the state. 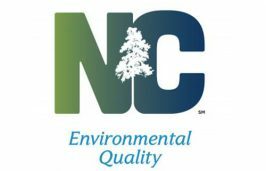 Grady McCallie, senior policy analyst for the North Carolina Conservation Network, agreed that the change within DEQ’s top ranks has been important. McCallie said the difference in the response to coal ash and GenX is a good example. The sparing between Cooper and legislative leaders continued throughout the state budget process highlighted by the Senate move to cut 45 positions at DEQ, including several top officials appointed by Cooper. That number dropped to 16.5 after House leaders balked at the deep cuts. The reductions at DEQ continued to be a politically charged issue, especially after revelations about GenX contamination of the drinking water in the Wilmington area. The state saw other environmental challenges in 2017, as well. One of the biggest hurdles was finding a path forward for energy policy in a sharply divided legislature. In March, a stakeholder group of solar and renewable energy advocates and representatives of Duke Energy and power cooperatives failed to reach agreement on requirements for renewable energy and allowing greater flexibility in solar power projects. The group, which did not include legislators, had been working on the project for more than a year. House members, led by Reps. Chuck McGrady, R-Henderson, and John Szoka, R-Cumberland, picked up the effort. Szoka introduced sweeping legislation. An eventual compromise with the Senate included an 18-month moratorium on wind energy projects pushed by Sen. Harry Brown, R-Onslow, who said the projects would harm the state’s relationship with the military. Despite the moratorium, the bill was eventually signed by Cooper, who asked state agencies to continue to work with wind developers to get projects ready to go when the moratorium ended. North Carolina dodged the main storms of the 2017 hurricane season, but the Outer Banks experienced flooding and road overwashes when Hurricane Maria skirted the coast in late September. But, the state was affected by storms elsewhere when damage from Hurricane Harvey in Texas and Louisiana drained funds from the Federal Emergency Management Agency and federal payments to cover damage from 2016’s Hurricane Matthew were temporary halted. 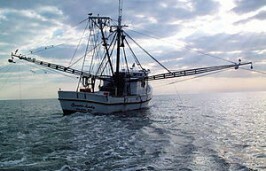 The federal government also influenced state environmental policy when it overturned several rules from prior administration, including rescinding new carbon emission standards and the reversal of a decision by the Obama Administration to drop proposed leasing of areas off the Atlantic Coast for oil and gas exploration. The flip in federal policy came after a change at the state level under Cooper, who came out strongly against oil and gas exploration, which had become a centerpiece of energy policy under the McCrory administration. Just after midnight Jan. 1, Roy Cooper was sworn in as the 75th governor of North Carolina. 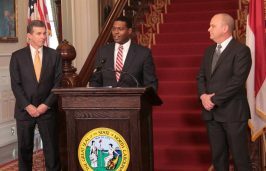 Cooper appointed former EPA administrator and Goldsboro native Michael Regan as secretary of the state Department of Environmental Quality and Wilmington Democratic representative Susi Hamilton as secretary of the Department of Natural and Cultural Resources. Under legislation passed in late December 2016, both appointments required confirmation by the state Senate. Ten legislators, including State House Speaker Tim Moore and other high-ranking GOP members, sent a letter to the Trump Administration demanding that a massive Amazon wind farm in Pasquotank and Perquimans counties be shut down over concerns about interference with a military radar system. Despite the last-minute effort, the wind farm began operation as planned. The North Carolina Policy Collaboratory at University of North Carolina Chapel Hill created by the legislature in 2016 to provide research and policy ideas, selected a handful of research projects in addition to those mandated by the legislature. Wilmington attorney Deb Butler was named to replace Susi Hamilton as District 18 representative in the House of Representatives. With the change in administration, DEQ announced changes in its top leadership. Former secretary Donald van der Vaart demoted himself to a staff position in the Division of Air Quality. 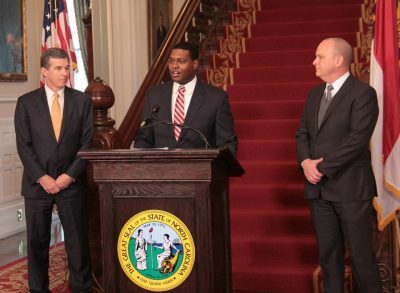 At a North Carolina Chamber of Commerce event, DEQ Secretary Michael Regan and other officials pledge more transparency. Regan said one priority will be to reduce a massive backlog of permit applications due in part to a shift of resources to handle coal ash issues. In the first round of coastal legislation for the new legislative session, Brown proposed a new state fund for beach renourishment projects and Rep. Beverly Boswell, R-Dare, and Sen. Bill Cook, R-Beaufort, began a session-long push for repeal of the plastic bag ban on the Outer Banks. Two different design plans were proposed for the addition to Hammocks Beach State Park, one including a controversial boat ramp. The state Wildlife Resources Commission recommended turning the Mattamuskeet Lodge over to a private company. A stakeholder group working on sweeping energy policy changes for solar and other renewables failed to reach agreement, but legislators vowed to continue working on a compromise. Ocean Isle Beach received an OK for a terminal groin project from the Army Corps of Engineers. Cooper announced his first budget. It included a major increase for the Clean Water Management Trust Fund. Walter Clark, a longtime coastal law and policy expert with North Carolina Sea Grant and executive director of the Blue Ridge Conservancy was picked to lead the fund. Frank Gorham, appointed chair of the North Carolina Coastal Resources Commission under the McCrory administration, resigned. Cooper named former Nags Head mayor and Dare County Commissioner Renee Cahoon as the new chair of the commission. 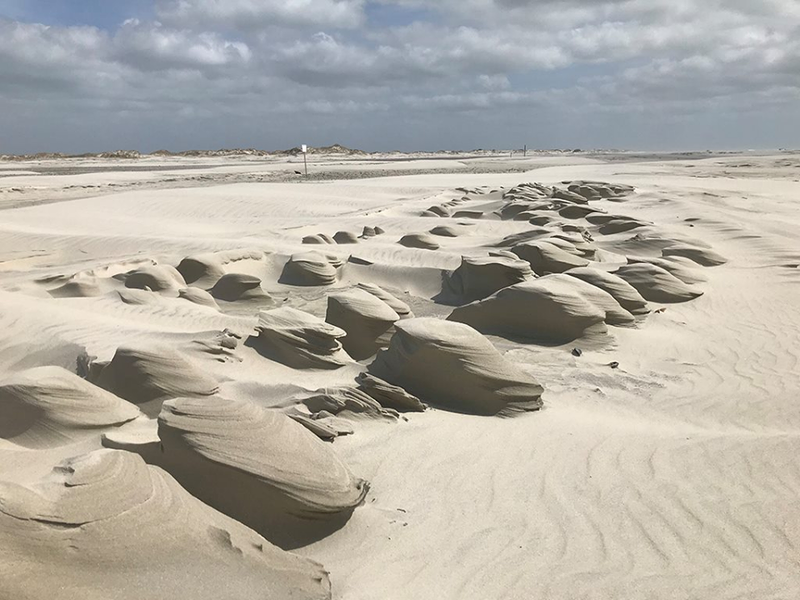 After failing to reach agreement last year, House and Senate committees began crafting new regulatory legislation, which included a loosening of rules on sandbag walls, stream mitigation and the use of shoal sands for beach renourishment projects. Tom Reeder, a high-ranking official at the Department of Environmental Quality during the McCrory administration, was hired as policy adviser for Senate leader Phil Berger. He replaced Jeffery Warren, who was hired to run the UNC-based North Carolina Policy Collaboratory. Local government officials gathered in Nags Head for a conference on how to deal with state and federal funding reductions for beach and inlet management programs. 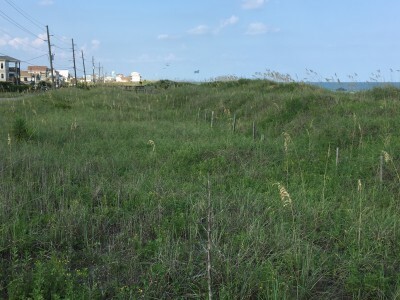 A state judge threw out a lawsuit challenging Topsail Beach’s repeal of its dune ordinance, clearing the way for development of a disputed project. 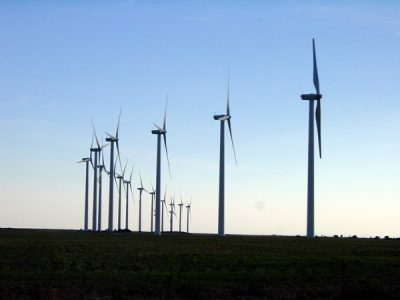 As work at the General Assembly picked up pace, the Senate and House continued a years-long debate over proposed restrictions limiting land available in eastern North Carolina for wind energy projects. Meanwhile, work on expanding options for solar energy, including community solar and third-party leasing, advanced. Michael Regan is confirmed by the state Senate as secretary of DEQ. The legislature passed the Regulatory Reform Act of 2016-2017, an omnibus bill that mostly included items in agreement between the House and Senate. Cooper later signed the bill, but raised concerns about changes relaxing rules for stream mitigation. The state Senate approved its version of the budget, which established a moratorium on wind energy projects and the elimination of 45 positions at DEQ, including several top-level positions and 14 regional office positions. 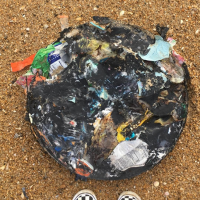 Dozens of smelly disks of compressed plastic and other waste from U.S. Navy Ships washed up on northern Outer Banks beaches. The Navy later said two sailors from a Virginia Beach-based ship were responsible for violating policy and would be held accountable. A U.S. Government Accountability Office report detailed how federal agencies as well state and local governments lack the money and necessary regulations to deal with abandoned vessels. The Interior Department announced a reversal of policy, saying it would allow applications for seismic testing for oil and gas exploration off the Atlantic Coast. The state House released its budget plan calling for far fewer cuts to DEQ with a total of 6.5 unfilled positions eliminated. The plan also ended funding for the North Carolina Policy Collaboratory at UNC, a Senate initiative, shifting studies to state agencies and Sea Grant. Starting with a long list of differences, House and Senate budget negotiators began work on a compromise two-year state spending plan. With seismic testing permits closer to approval, advocates ramped up opposition to a Trump Administration plan to reopen Atlantic waters to oil and gas exploration. 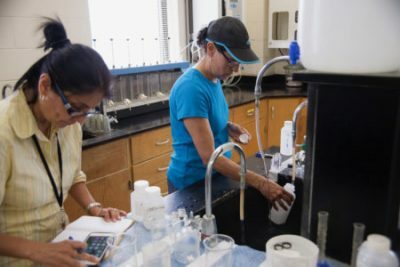 A report in the Wilmington StarNews cited a new study showing high levels of an unregulated compound known by the trade name GenX in the Cape Fear River and that standard water treatment practices fail to eliminate it. The report and a subsequent series of stories by the newspaper heighten concerns about the safety of the drinking water in the Wilmington region. At forums in Wilmington about GenX, residents demanded answers on the safety of the region’s water supply. Scientists at the forums said the issue goes far beyond the single compound and cautioned that it could take years to fully understand the scope of the problem. House and Senate negotiators agreed on a $22.9 billion budget and compromise over cuts to DEQ, eliminating 16.5 positions. During closing debate on the state budget, Rep. Butler raised the GenX issue and called for more funding for DEQ and state health officials to deal with the contamination concerns. House and Senate passed an extensive revamp of policies on solar and renewable energy. Senate negotiators were successful in adding an 18-month moratorium on wind energy projects to the bill. After passing the budget, the General Assembly adjourned until August, leaving several environmental provisions still on the table, including the proposed repeal of the plastic bag ban. Rep. Pat McElraft, R-Carteret, said the legislature could take up the bill when it returns later in the summer. In a move that rattled residents in the Wilmington region, state health officials dropped the public health goal for GenX levels from 71,000 parts per trillion to 140 ppt. New appointees to environmental boards and commissions took office. Among the new members to the Environmental Management Commission were former legislator Mitch Gillespie, who is a policy adviser to House Speaker Tim Moore, and UNC School of Government professor Richard Whisnant, an expert on water issues and natural resource law. 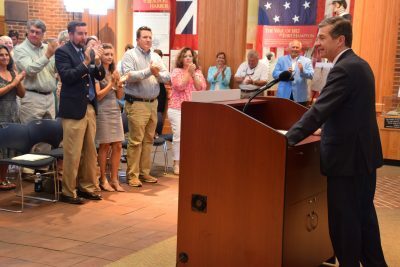 During a trip to Fort Macon State Park, Cooper said he will fight any attempt to allow oil and gas exploration off the North Carolina coast, a 180-degree shift in policy from the McCrory Administration. Heavy downpours caused widespread flooding in Dare County. A contractor working on the new bridge over Oregon Inlet severed a main electricity cable to Hatteras and Ocracoke islands, leaving 9,000 homes and businesses in the dark at one of its busiest times of the year. A mandatory evacuation for all visitors was ordered. In a series of public hearings, federal officials got an earful from residents concerned about offshore drilling. Cooper signed the recently passed energy policy bill, saying most of it is a step forward, but criticizing the wind energy moratorium. He also directed state agencies to continue working with developers on wind energy projects. Visitors were allowed back on Hatteras and Ocracoke islands after power is restored. The Environmental Review Commission, the legislature’s main environmental oversight committee, toured the Cape Fear Public Utility Authority’s Sweeney Water Treatment Plant and held a hearing on GenX and drinking water safety. Hyde County, the U.S. Fish and Wildlife Service and the state’s Wildlife Resources Commission began work on a new watershed restoration plan for Lake Mattamuskeet. 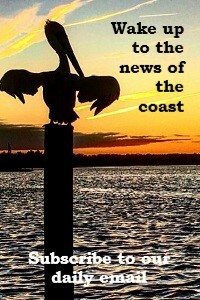 In a brief return to Raleigh, the legislature passed H56, an extensive set of environmental provisions, 20 in all, including the creation of a new storm damage mitigation fund for beach renourishment, the Outer Banks plastic bag ban repeal and funding for University of North Carolina Wilmington and water authorities in Pender, New Hanover and Brunswick counties for water sampling and testing of GenX filtration technologies. House and Senate river quality committees were formed to examine GenX and the state’s response to GenX in the Wilmington and Fayetteville region as well as continued studies on emerging contaminants and potential legislation and required funding. Beaufort approved a new watershed protection plan to reduce runoff and flooding. After new redistricting plans were announced, Cook announced he would not seek re-election. Navassa residents learned that the 251-acre Kerr-McGee Chemical Corp. site in Brunswick County has steadily shown some areas have higher levels of creosote contamination than others, but that the chemical compound is not spreading. Pender County Republican Representative Chris Millis announced he is resigning to spend more time with his family. He left open the possibility of running for office again. A Virginia businessman claimed ownership of Shelly Island, a new barrier island off Cape Hatteras, which grew in popularity over the summer of 2017. Scientists said the large sandbar is likely to be temporary. The simmering political fight over GenX boiled over after Cooper vetoed H56. The governor, who pushed for $2.6 million in additional resources for DEQ and DHHS called limiting GenX funding for only CFPUA and University of North Carolina Wilmington “cynical legislation.” House and Senate leaders fired back, saying the governor was ignoring a locally-focused solution and putting politics ahead of public safety. 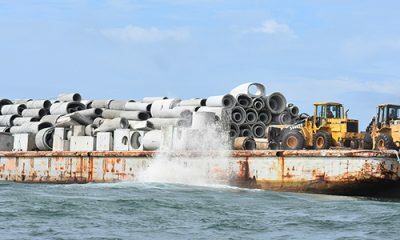 The Division of Marine Fisheries completed a major addition to a new fishing reef off Oak Island, sinking a barge laden with 1,600 tons of concrete pipe at the site of Artificial Reef 430. Groundwater studies near the Bladen County Chemours plant show high levels of GenX and other compounds. The state ordered more testing and Chemours began supplying water to nearby residents that were relying on well water. The House Select Committee on North Carolina River Quality met in Raleigh. The meeting included briefings from scientists studying emerging contaminants, updates from DEQ and state health officials. Several committee members complained that the issue has become overly politicized and accused the media of fanning public fears. Hurricane Maria passed close enough to cause sporadic damage along the North Carolina coast. The storm caused flooding, overwashes and led to the closure of Portsmouth Island to visitors. Beach erosion caused by the storm greatly reduced the size of Shelly Island. In the wake of Maria, mines used for training by the Navy and other debris were removed by ordnance crews after washing up on beaches in Hatteras and Corolla. Former Pender County Republican Party Chairman Bob Muller was selected to fill the House seat vacated by former Rep. Chris Millis. The U.S. Supreme Court denied a request that it take up a lawsuit by former Emerald Isle homeowners challenging public access to beaches. The move leaves in place a 2015 Court of Appeals ruling reaffirming the right to access. GenX levels spiked in the Cape Fear River after a spill at the Chemours facility. The spill went unreported by the company for more than three weeks. Returning for another short session, legislators voted to override Cooper’s veto of H56. The renourishment fund, bag ban repeal and GenX funding provisions take effect. Brunswick County’s planning board approved a proposed set of restrictions on solar farms. Among other rules, the plan would limit the maximum size of solar farms to 50 acres. A state science panel was appointed to look into concerns about GenX and contamination from coal ash basins. The controversy over funding in the state budget for a new aquarium at a private development in Pender County continued to build. Richard Poole, an attorney and chair of the New Hanover County Democratic Party, filed a formal complaint over the deal with state officials. Legislators from a long-term transportation planning committee toured the Port of Wilmington and discussed plans for capital improvements at the port and transportation and utility crossings over the Cape Fear River. Sunset Beach and a local developer settled a long-running dispute over a proposed development at the west end of the island. Former Caswell Beach mayor Harry Simmons pleaded guilty to embezzling from a Brunswick County organization that lobbies for beach protections. DEQ revoked part of Chemours wastewater discharge permit and said it will issue a civil fine for the company’s failure to report the early October spill at its facility. Rep. Ted Davis, R-New Hanover, chair of the House River Quality Committee, announced he’s working on legislation for the upcoming January session of the General Assembly. Former DEQ secretary Donald van der Vaart resigned, leaving the state’s Division of Air Quality. He and former DEQ counsel John Evans were put on investigative leave after penning an editorial critical of part of the Clean Air Act. The former secretary was appointed to an EPA science panel earlier in the month. The Science Advisory Panel held a meeting and public forum in Wilmington to hear updates from DEQ and DHHS. The panel agreed to review the public health goal for GenX levels and recommend possible changes. Brunswick County commissioners rejected a proposal for limitation on solar farms and sent the idea back to the county planning board for more work. State officials met with residents near the Chemours plant to discuss the testing program and response. 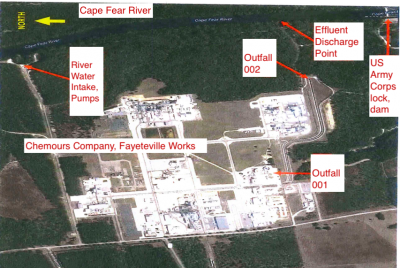 Further DEQ testing showed additional private well contamination near the Chemours plant. Division of Coastal Management officials requested additional materials from four companies seeking permits for seismic testing after new studies show higher potential for damage to marine life. Congressman Walter Jones refiled a bill to revise a federal maps that restricted much of North Topsail Beach from federal flood insurance programs. 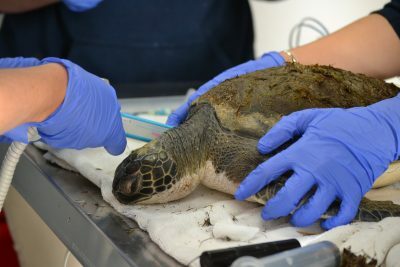 The Roanoke Island Aquarium’s Sea Turtle Assistance and Rehabilitation Center took in another 76 cold-stunned sea turtles bringing the total this year to 96.